Director Koichi Sakamoto (Kamen Rider Fourze, Power Rangers) will be working on a new action drama series entitled "Gunblade". This new series was unveiled in this year's Licensing Expo held at the Mandalay Bay Convention Center. For those who attended the expo, they got a chance to see an eight-minute sneak preview of the new series and had a chance to interact with the heroes of the series. The series is about the six-member Gunblade Team, a special missions unit assembled to protect and defend humankind against the evil Dr. Dexter and his super computer, Olympus. Seeking assistance to carry out his diabolical plan to destroy the Earth, Dr. Dexter resurrects Gothic, an ancient destructive clan who had been sealed away for evildoing. Now with the threat of humanity becoming extinct, the Gunblade Team must stop Dr. Dexter from destroying the Earth. 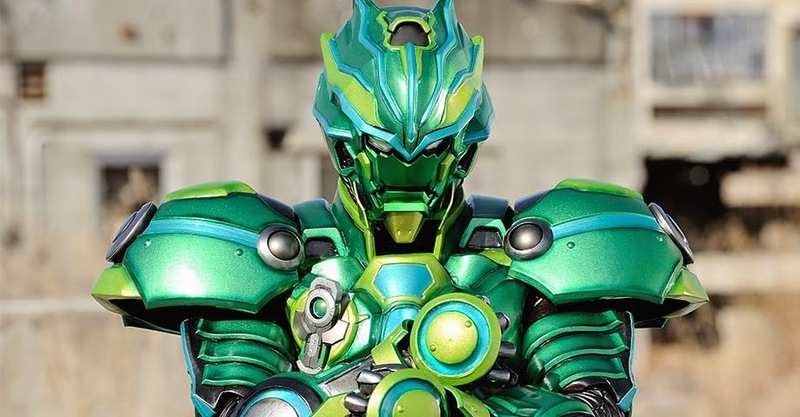 Equipped with the "GB Drive," a special smart phone type device, Gunblade members can use its applications to transmit high-tech weaponry, assist in a variety of attack skills, garner protection by an impenetrable shield and even transform into a special armored suit. Produced by South Korean-based Gunblade Culture Industry SPC, this $20 million production is scheduled to start filming this August and will air in South Korea as early as March 2015. The series is planned to air in select Asian markets in June and September 2015 and is also planned to air in Europe and the United States in January 2016. 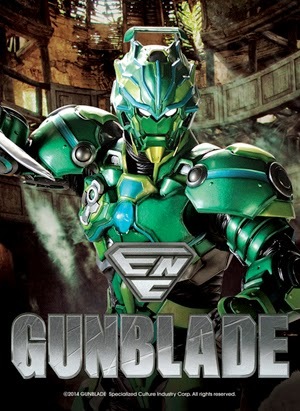 Koichi Sakamoto, known for directing various tokusatsu shows, is going to direct a new Super Hero TV Drama entitled Gunblade as seen in the 2014 Licensing Expo that was held at the Mandalay Bay Convention Center, June 17. An 8 minutes long sneak preview of Gunblade was also seen in the event that promoted the show. The show is produced by a South Korean-based production company called Gunblade Culture Industry SPC. "GUNBLADE is the tale of the extraordinary “Gunblade Team,” a six-member special missions unit, assembled to protect and defend humankind against the evil Dr. Dexter and his super computer, “Olympus.” Seeking assistance to carry out his diabolical plan to destroy the Earth, Dr. Dexter resurrects an ancient destructive clan, “Gothic,” who had been sealed away for evildoing. Now with the threat of humanity becoming extinct, the Gunblade Team must stop Dr. Dexter from destroying the Earth. Equipped with the “GB Drive,” a special smart phone type device, GUNBLADE members can use its applications to transmit high-tech weaponry, assist in a variety of attack skills, garner protection by an impenetrable shield and even transform into a special armored suit." The series production, with a budget of $20 million, is ready to begin filming this coming August and will air in Korea as early as next year, March 2015. Gunblade will be distributed in select Asian markets in June and September 2015 and is also planned to air in Europe and the United States by January of 2016. 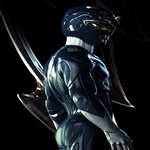 The first set of clips and new information for the South Korean produced Gunblade tokusatsu series has surfaced online. This Koichi Sakamoto (Kamen Rider Fourze, Power Rangers) directed series was unveiled in this year's Licensing Expo. The first clip features two members of the Special Mission Unit ENCOUNT fighting GOTHIC foot soldiers known as Droll. The two members seen in the clip are Jay aka Gunblader Alpha and Alison aka Gunblade Delta. In the scene, Alison uses the smartphone type device called the GB Drive. She uses it to scan the area to find what's interfering Jay's signal, which prevents him from transforming into Gunblader Alpha. After Alison is done with it, Jay transforms into Gunblader Alpha by inserting the Applink to GB Drive, the special application will automatically start running. - Leon aka Gunblader Gamma - a man who looks like a model student with glasses. His vehicle is the Volt Rider. - Hank aka Gunblader Beta - he is the strongest warrior in the team. His vehicle is the Wing Rider. - Cynthia aka Gunblader Zeta and Matt aka Gunblader Epsilon - cyborg twins created by the government. Unlike the rest of the team, they have their own transformation device called the GB Brace. Their vehicle is the Crow Rider. 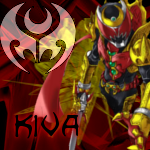 - Eric aka Gunblader (Prototype) - the former leader of Gunblade, he left for reason and he is against ENCOUNT and GOTHIC. The enemy of ENCOUNT and the organization's GUNBLADE team is GOTHIC, an organization led by Dr. Dexter who fused with the super computer named OLYMPUS to become Faust. But there is a even greater threat current sealed by the mysterious witch only known as the Gate Keeper in an unknown place and his name is Diabolos, the King of GOTHIC. Even if that is the case, our heroes will still be busy as they will fight the Gothic Quarter composed of Baoh (a mummy type GOTHIC), Gulm (a wolf type GOTHIC), Poison Lady (a witch type GOTHIC) and Dark Bite (a vampire type GOTHIC). Sieht ja schon ziemlich geil aus. Ich hoffe dass es Subs geben wird. 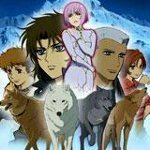 Aber habe ich das richtig verstanden dass die Serie nach Europa kommen soll? Vielleicht ja auch nach Deutschland. Macht auf jeden fall schon einen guten Eindruck. Sieht auf jeden Fall nicht schlecht aus. Wurde es mir angucken. S' Video sah schon mal ganz cool aus. Sollte die Serie gesubbt werden, würd ich denk ich mal reinschauen. Der 7 min. Trailer ist der Hammer ! Jay hat zwar ne komische Frisur aber nen guten Kampfstil und scheint ein witziger Kerl zusein. Die Idee mit dem "Smartphone" Gerät und den Apps finde ich auch ziemlich Klasse, immerhinn was Steuert Technik besser ? Das Rüstungs Design sieht ja mal Ultra genial aus mit dem Gift Grün Metallic und die Power scheint enorm wenn er mal eben Hochspringt und 3 Flugzeuge runter holt ! Und generell mag ich Endzeit Apocalypsen Feeling ! Das werde ich gespannt weiterverfolgen... Danke für die Info ! Und gesubbt wird das sicher, kann mir niemanden unter den Sub-Crews des Genres vorstellen, der sowas ungesubbt lassen würde ;P ! Mir gefällt das making of mit der Gegenüberstellung der gleichen Szene. Was ich auch interessant finde ist, dass sie immer von seiner Verwandlung spricht, gleichzeitig aber auch die gleiche App auf ihrem Gerät hat. Entweder habe alle das gleiche Gerät wobei bei manchen nicht alle Apps funktionieren oder die App hat noch eine andere Funktion. Oder sie bekommt auch noch einen Gunblader Suit. Es gibt einen Anime namens IS: Infinite Stratos, dort können normal nur Frauen einen solchen Suit tragen, vieleicht ist es ja hier auch ähnlich das sie mit dem Device zwar Interagieren und Überwachen kann aber sich nicht wegen Genetik oder sonstigem in einen Gunblader verwandeln kann da diesen nur Männer tragen können !? Auf jeden Fall scheint man ja schonmal zusehen wer der Kopf und wer der Muskel ist ! Verkehrt finde ich Koreanisch auch nicht. Und mit mehr Suits wäre ich zwar zufrieden, so hat es aber wieder etwas von einer 1-Mann Armee was ich ziemlich genial immoment finde ! Der Ordner ist auf der Platte schon angelegt... Jetzt muss er gefüllt werden ! Freu mich da mega drauf ! Und wenn ich Persönlich ein Projekt starten muss um das mit Freunden zu Übersetzen , letzten endes sind die meisten Sub-Crews nichts anderes als Fans die sich zusammen tun ! Und wie Marshalls Vater in HIMYM schon sagte, sind die Koreaner ein nettes und großzügiges Volk, jemand ließe sich also finden ^^ ! Im Pilotfilm schon selbst ? Dachte die kommen dann erst in der Serie dazu ? Perfekt ist aber das der Hauptprotagonist schonmal meine Lieblingsfarbe hat ! Auf den Prototype bin ich auch gespannt, die sehen ja meist auch ziemlich geil aus ^^ ! Des mädel war auch in der Promo zu rayforce damals zu sehen. Gibt es mittlerweile eig. mehr/neue Infos zum Film ? Ich finde immer noch nicht mehr dazu als letztes Jahr vorhanden. Bis release muss ich ja irgendwie durchkommen ! Einfach richtig Geil, auch als Figur ist der Suit in Kombi mit seinem Messer ein Traum !